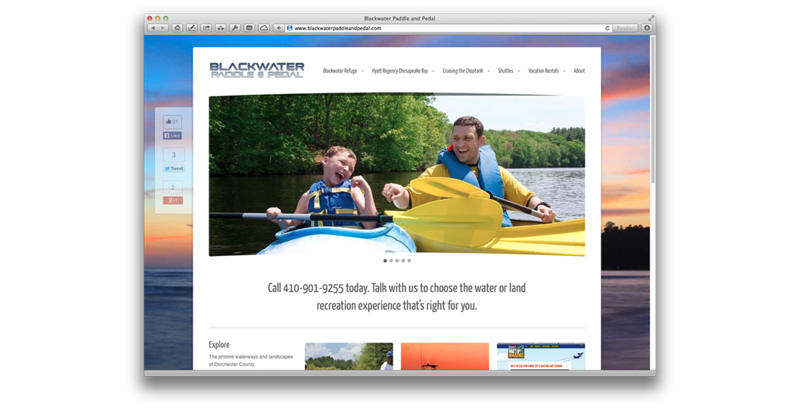 Blackwater Pedal and Paddle is an eastern Maryland, family owned and operated, outdoor equipment rental and tour guide business. Working with content experts at NAK & Associates, we modernized the business’ web presence. Our redesign of their website helped to bring order to the myriad of servers and resources they offer. The new site has successfully brought new business to Blackwater Pedal and Paddle.